Throughout the month I will be reviewing unusually creepy Halloween candy. Anyone can give out the usual M&M, Snickers, Milky Way, Twix mix. Stand out by giving a unique treat that will both repulse and excite the kids in your neighborhood. Ladies and gentlemen, I present to you, Gummy Ear Wax! Nothing like a little ear wax to finish off a fine meal. 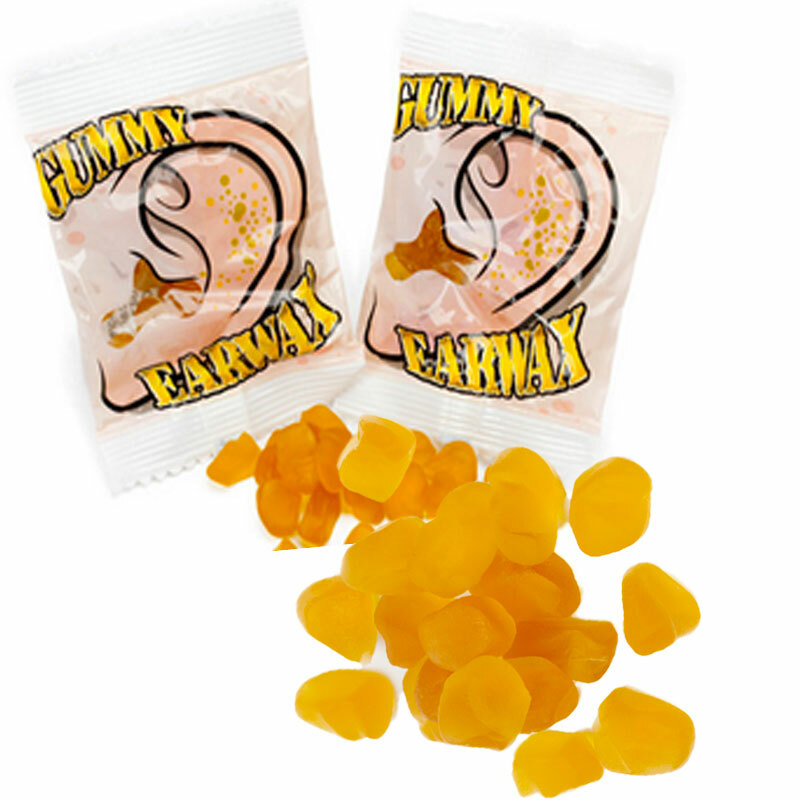 These candies come in a white package bearing a picture of an ear and proudly stating in ear wax yellow ‘Gummy Ear Wax’. The bag alone is enough to turn the stomachs of many but, chances are, the kids in your neighborhood are tough. A little gummy ear wax is not enough to phase them. Make sure they take a closer look at the gummies. They are a little cloudy, all irregular shapes and the rough texture definitely resembles ear wax. Go ahead and pop one in your mouth! What’s it like? Well, a little tough and chewy at the same time. Surprisingly, ear wax tastes like lemon! Who knew? So, while the texture may gross some people out, the flavor is surprisingly inviting. Get the neighborhood talking this Halloween by handing out bags of ear wax!